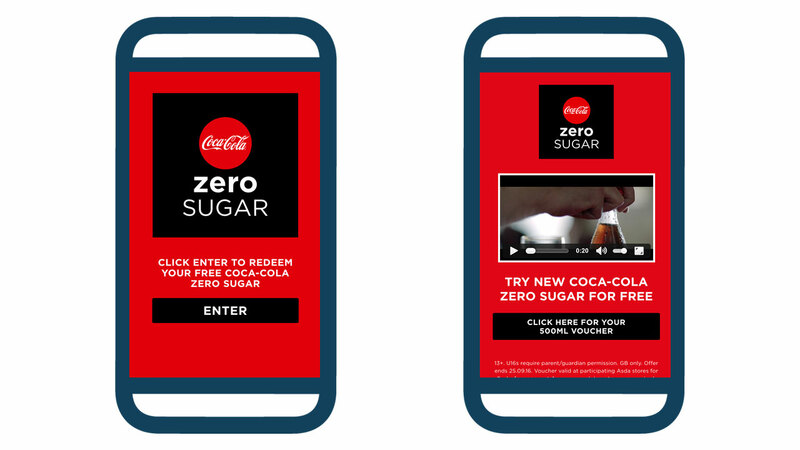 Coca-Cola wanted a way to connect consumers more deeply with their advertising campaign; allowing them to download their free voucher directly to their mobile phone. 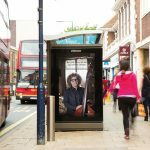 Meshh was installed across 170 bus shelters nationally, with a call to action within the creative. 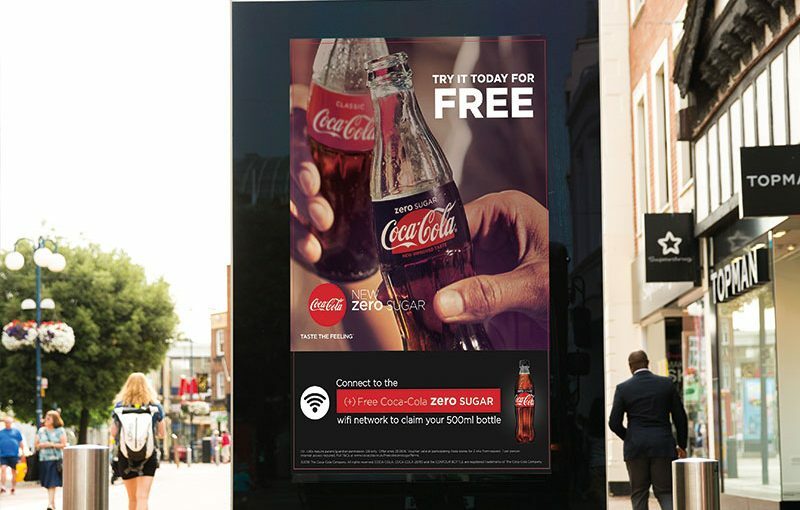 When consumers connected to the creative via the (+) Free Coca-Cola Zero Sugar offline Wi-Fi network, they were automatically led through the Coca-Cola Zero branded page. 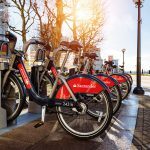 By filling out their details they could choose to have their voucher sent to them via SMS or email. 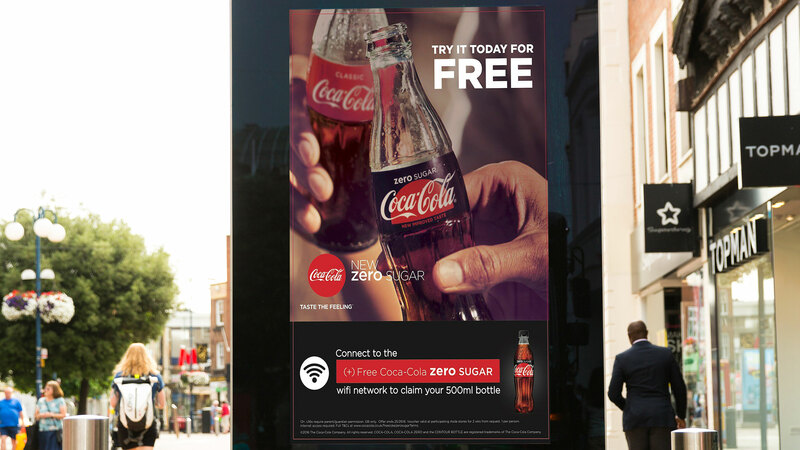 Over the 2-week duration, 22,000 consumers engaged with Coca Cola’s ad campaign and nearly 12,000 redeemed their voucher.